I haven’t been thrifting much lately. Some of the recent national and local tragedies have made me pensive and I find myself staying home more and puttering. But I did find a few small things at my neighborhood Goodwill…like this made-in-England Beswick Welsh figurine (#1878). She is a scarce piece, circa 1963-1969. She was expensive, but had enough “meat on the bone” to make it worth buying. She had been on the shelves for several days and I’m surprised no other picker nabbed her first! I also found a vintage Michaelanglo Pieta statue (likely marble composite). There are a lot of little copies of the Pieta for sale, but this one is nicely done. My book finds brought me back to my own childhood and happier days! 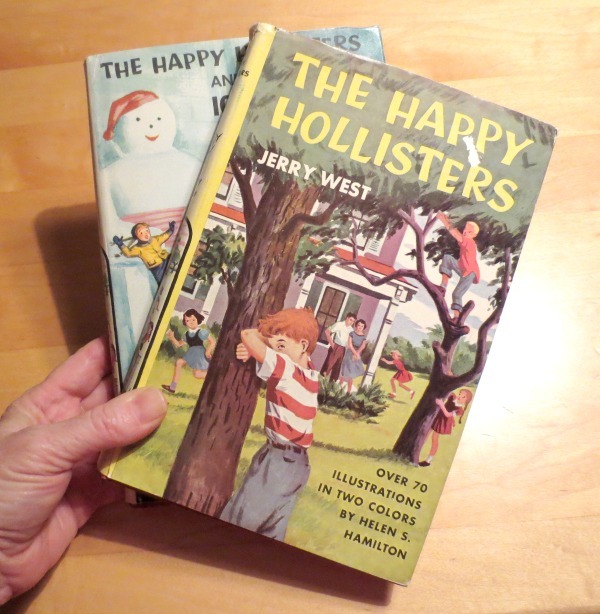 Anybody else read “The Happy Hollisters” series?? 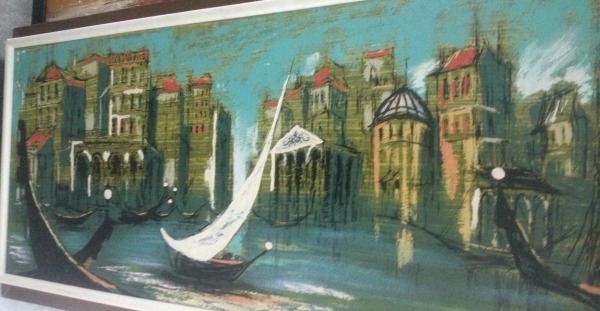 I’ve twice passed up buying this signed “Fairchild” 1950s-1970s painting at my local thrift store. Its size really throws me off. It’s huge, about 60″ wide, with a heavy double wood frame. It would need to be shipped by freight or picked up locally. It’s priced at $73 and has a small bit of damage in the upper left corner. I have found some of his paintings in WorthPoint and they have all sold for well under $100. Like this one for $19.50! If I liked the painting more or it was cheaper or smaller I would pop for it. Hopefully it won’t turn out to be one of his rare paintings worth $$$$! I’ve always wanted a bit of carved bog oak (it’s not often you hear that!) 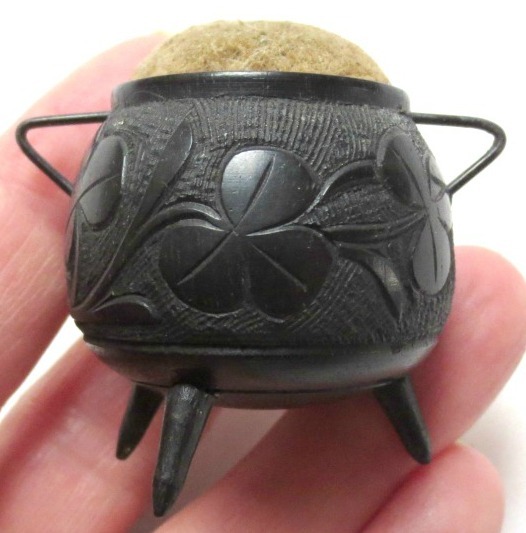 and ended up buying this antique mini-caldron pincushion on eBay. I plan on using it as a photo prop for jewelry. Bog oak is wood that has been preserved in peat and usually changes to a black color and is quite hard. From what I understand this process takes hundreds to thousands of years. This adorable piece was originally from Ireland. I’ll close for now…hope your week is going well. Any good finds to share?? That painting would look great on the wall behind a long, low vintage couch. Love it!